Frank. Nabs First Place in IAEE’s Art of the Show… Twice! | Frank. Frank. Nabs First Place in IAEE’s Art of the Show… Twice! 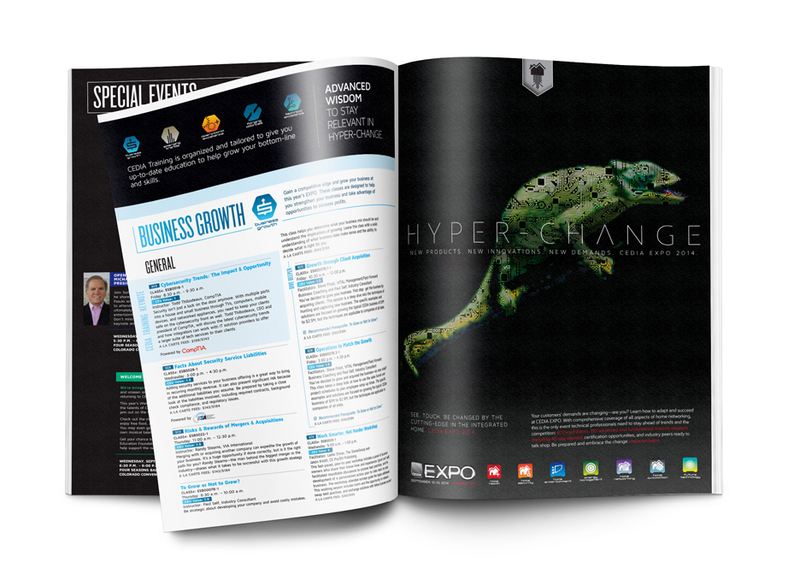 Earlier this week we received word that TWO of our ad campaigns took home First Place IAEE 2014 Art of the Show Awards – the first for our HPBExpo 2015 campaign and another for our CEDIA EXPO 2014 campaign. IAEE is a competition that celebrates excellence in the marketing of trade shows and events, something in which Frank. has a lot of experience. The IAEE 2014 Art of the Show competition had a total of 162 entries from 43 companies, 12 alone for our category of Print Advertising. We are very honored to be recognized by our Clients’ industry and value their appreciation of work well done. Developed by the Hearth, Patio, and Barbecue Association, HPBExpo is the showcase for the latest products and services in the indoor-outdoor lifestyle industry. 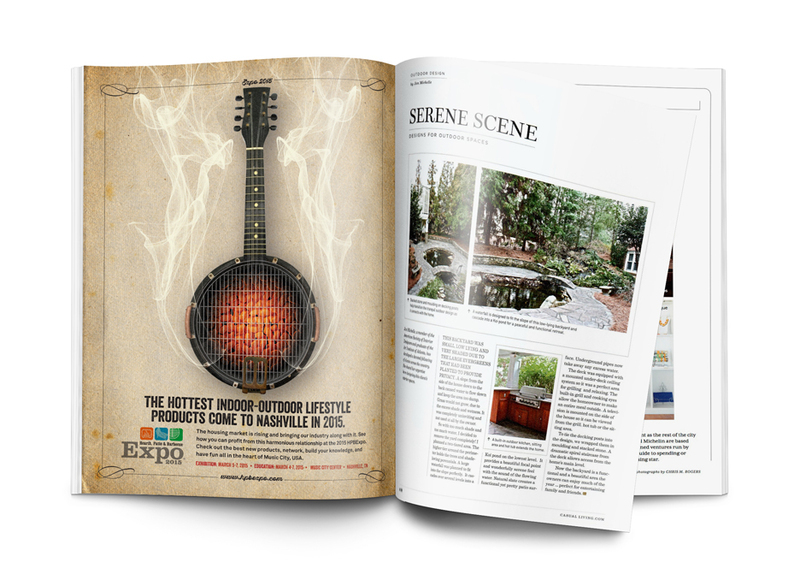 With the 2015 show taking place in Nashville, this campaign utilizes elements commonly seen around Music City USA, and ties products associated with the hearth, patio, and barbecue industries with traditional country music instruments. The Custom Electronic Design and Installation Association’s (CEDIA) annual showcase of the latest and greatest in residential technology and trends, highlighted the ever-changing, ever-evolving marketplace through our marketing campaign. The campaign itself featured bold typography, and four main images, speaking to the different audiences of the event. ← Frank. Earns Silver at District Two ADDY Awards!